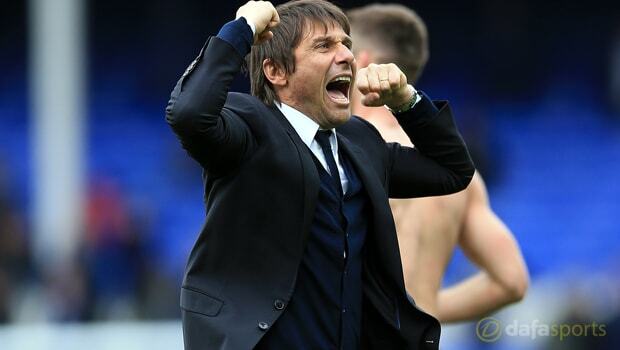 Chelsea boss Antonio Conte insists his side have taken a “big step” towards the Premier League title following their 3-0 victory over Middlesbrough on Monday. The Blues went into the match at Stamford Bridge knowing a victory would see them move seven points clear at the top of the standings following nearest rivals Tottenham’s defeat to West Ham. Goals from Diego Costa, Marcos Alonso and Nemanja Matic helped the west London club secure the success and they can now seal their second title in three years by beating West Brom at The Hawthorns on Friday night. “This game was very important for us after the defeat for Tottenham,” Conte told Sky Sports. “The possibility to take three points and to go seven points ahead of Tottenham. For us it was very important to play and to win today. “Honestly for sure this is a big step because now there are three games. The Italian knows his side still have work to do, as he recognises it will not be easy to secure a positive result against the Baggies. “Now we are very close, but we need to take another step,” the 47-year-old added. “We have the possibility to win the title without the wait for the Tottenham result. Chelsea have only lost one of their last eight matches against West Brom and they are priced at 1.33 to secure the victory they need on Friday night. Tony Pulis’ men are available at 10.00 and the draw is on offer at 5.00.